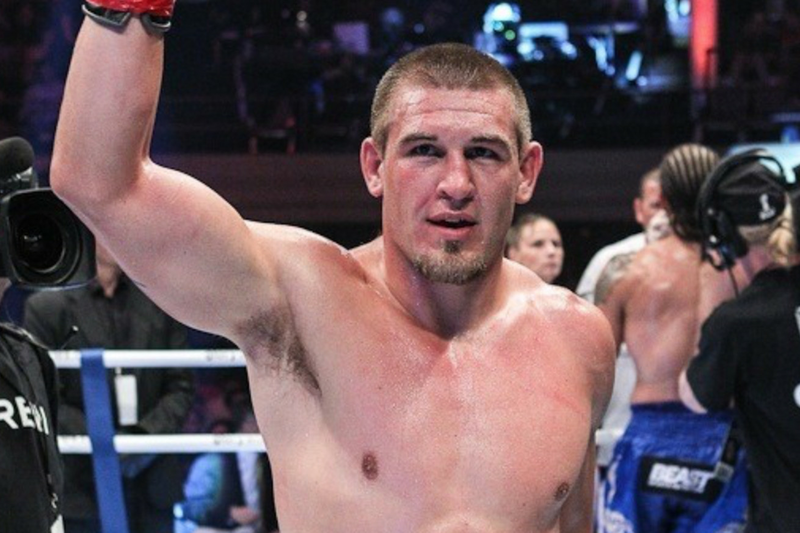 BROOMFIELD, Colo.–Dustin Jacoby (9-7) was on an absolute tear before losing to Simon Marcus (44-3-2) by unanimous decision at GLORY 30 this past May. The defeat brought his five-fight win streak to a screeching halt, but now he gets a chance to right the wrong in the rematch later tonight at GLORY 34. Jacoby, 28, was off his game that night and got knocked down twice during the bout. Meanwhile, Marcus lost the GLORY middleweight title to Jason Wilnis via technical knockout (TKO) at GLORY 33 on September 9, 2016. Wilnis scored three knockdowns in the third round to win the title. It is undoubtedly a quick turnaround–the fastest of his career following a defeat–for the former GLORY champion after enduring a loss like that. Not to mention, Jacoby is one of the heaviest hitters in the middleweight division.